Rail unions have vowed to "go to war" over plans to introduce driverless trains on the London Underground. Transport for London (TfL) has begun a tendering process for what it calls the New Tube for London. The fully automated, air-cooled trains would be for the Piccadilly, Central, Bakerloo and Waterloo & City lines. But both the Rail Maritime and Transport (RMT) union and drivers' union Aslef said the driverless operation would affect safety. TfL said is was beginning the search for a supplier to build the "next generation of deep-level, energy efficient, walk-through and air-cooled trains". The 250 new trains will be capable of full automation and enable more frequent and reliable services, it said. 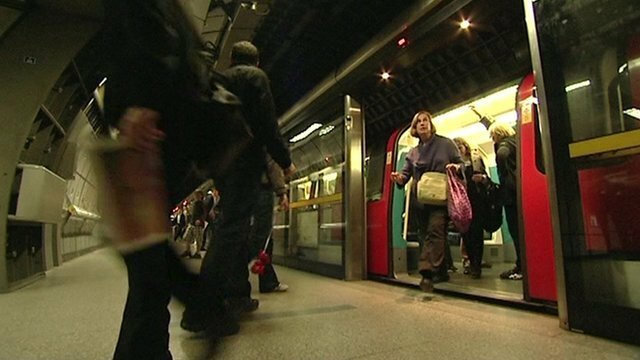 It claims the trains will increase capacity on the Central Line by 25%, the Bakerloo Line by 25%, the Waterloo & City Line by 50% and the Piccadilly Line by 60%. Mayor Boris Johnson said: "Much like our Victorian forebears, we will make what was once thought impossible possible when 250 brand new, air-cooled, walk-through trains are introduced to the network. "This is a hugely important step in the continued evolution of our world-famous Tube and one that will see an iconic new fleet of trains to keep London and its economy moving." But Bob Crow, general secretary of the RMT, said: "The RMT will not allow Tube safety to be sacrificed on the altar of driverless operation and we are geared up and ready to go to war on this one." Mick Whelan, leader of the drivers union Aslef, said introducing driverless Tube trains would lead to "all-out war".